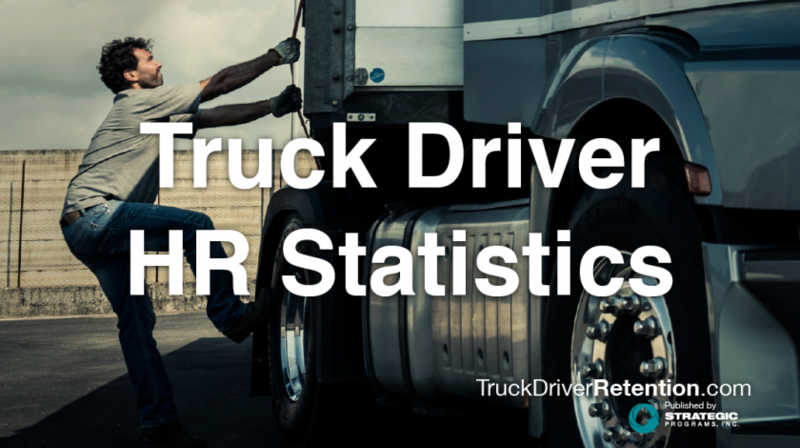 Driver retention remains a key success factor for a trucking company. Driver turnover is still high and the US Bureau of Labor Statistics estimates 330,000 new drivers will be needed by 2020¹ to fulfill the needs of trucking carriers and freight haulers – a 20% increase. This is the time when it is critical to develop and keep engaged employees. Let’s explore the difference between employee satisfaction and employee engagement to illustrate why engagement is so important to your business. Jim is comfortable with his job. He has a good truck, he likes the customers, the company he works for keeps him moving enough to pay his bills, and their terminals are pretty nice too. So Jim comes to work, punches the clock, and gets his work done. As long as his needs are met and the pay is enough, he doesn’t care who he works for. Jim is satisfied. Bob is satisfied with the same things as Jim, but he’s telling his fleet manager about possible problems before they happen. Bob’s telling everyone he meets what a great company he works for and tries to recruit the good drivers he’d like to work with. He works hard to exceed his customers’ and his fleet manager’s expectations. He’s loyal, committed, and doesn’t think about the job offers being thrown at him by other company’s recruiters. He feels valued and sees his part in the big picture. He understands why what he does is important and how his results affect the company as a whole. Jim is satisfied, while Bob is engaged. Through these examples, you can see satisfaction and engagement are not the same thing. Satisfaction plays an important piece in engagement, but there is so much more. Satisfaction benefits the employee, but engagement drives business. Do you want satisfied employees? Of course. Would you rather have engaged employees? Absolutely. Satisfaction is the “I’ll do this in exchange for that” mentality. Satisfied employees perform adequately, but do not give additional, discretionary effort. Employee engagement, on the other hand, is personal. It is grounded in emotions and part of an individual’s self image. An engaged employee feels connected to the company, and sees beyond how their own personal needs are met to how they can help their company reach its goals. When your employees are engaged, they have better safety scores, better job performance, reduced turnover and increased productivity. Employee engagement is a win-win. Cultivating employee engagement is a competitive strategy. Measuring employee engagement and identifying factors that contribute to and detract from engagement is the first step. Key components of engagement are measured in organizational commitment, satisfaction, effort, and intention to stay. When current employee engagement surveys are coupled with exit interviews, you get a 360 degree view of your company culture and inhibitors of employee engagement in your workforce. Here is where an experienced consulting firm like Strategic Programs, Inc. will help you establish benchmarks, obtain reliable metrics, and help you develop employee engagement best practices and strategies within your organization. It is key to not just get the data, but also be able to use the data to make effective business decisions. Discovering the reasons your high performers stay will help you in creating effective action plans. As business costs in trucking continue to rise, you’ll have a competitive advantage with an engaged workforce. Not only will you spend less money filling vacancies, you will see increased productivity, efficiency and effectiveness. Bottom line – keep your employees satisfied, but more importantly, keep them engaged.